This tutorial explains how to implement scrollview component in react native application. The ScrollView is a generic scrolling container that can host multiple components and views. The scrollable items need not be homogeneous, and you can scroll both vertically and horizontally (by setting the horizontal property). ScrollViews can be configured to allow paging through views using swiping gestures by using a pagingEnabled props. Swiping horizontally between views can also be implemented on Android using the ViewPagerAndroid component. A ScrollView with the single item can be used to allow a user to zoom content. Set up a maximumZoomScale and minimumZoomScale props and the user will be able to use pinch and expand gestures to zoom in and zoom out. Lets see the below example for react native scrollview component, which provides horizontal and vertical scrolling effect. 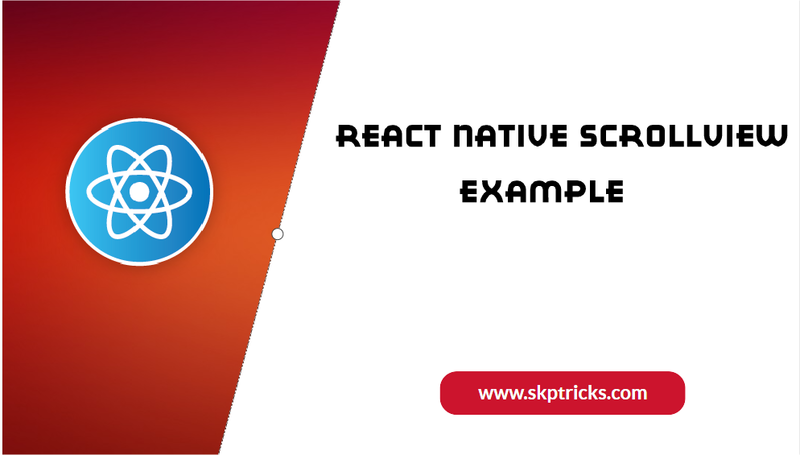 This Example explains how to create simple vertical ScrollView in react native application. The ScrollView is a generic scrolling container that can host multiple components and views. The scrollable items need not be homogeneous, and you can scroll both vertically and horizontally (by setting the horizontal property). 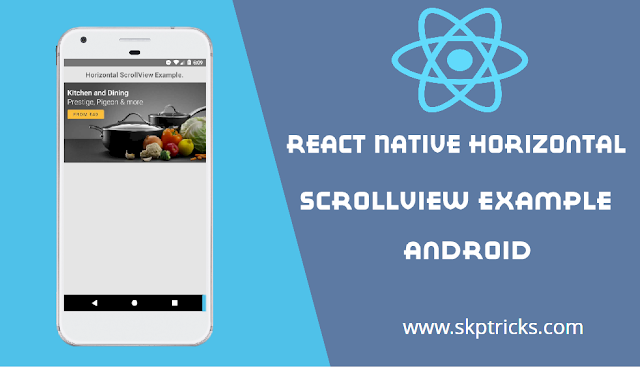 This Example explains how to create horizontal ScrollView example in react native application. As we are already discussed the ScrollView is a generic scrolling container that can host multiple components and views. In this example we are going to display 10 images in horizontal fashion in ScrollView Component and you can view the images by scrolling left to right or right to left direction, depending upon image placement or position. 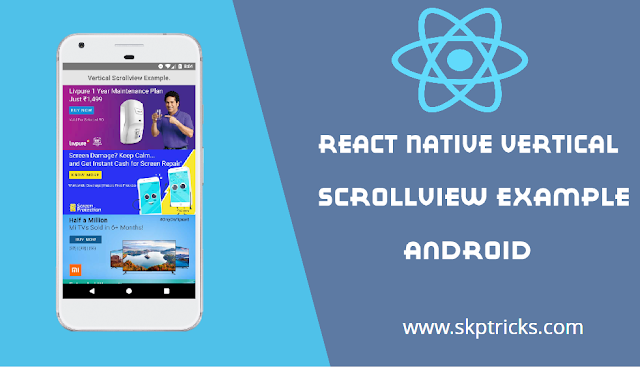 This is all about react native scrollview example. Thank you for reading this article, and if you have any problem, have a another better useful solution about this article, please write message in the comment section.